This well-travelled bear from deepest, darkest Peru would love to live with you! This standing plush Paddington Bear offers the complete Paddington experience; fans will adore the exceptional attention to detail and high quality finish. 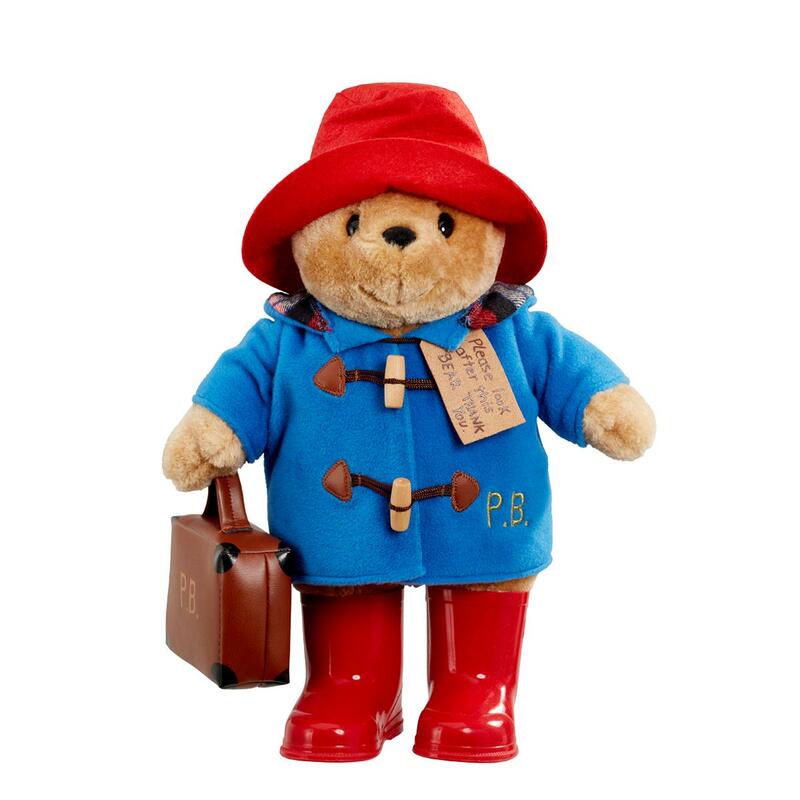 Paddington wears his renowned duffle coat, in super soft lined fabric, with real toggles, a battered red felt bush hat and shiny red wellington boots. He also features a suedette ‘Please look after this bear. Thank you’ tag around his neck and a gift tag featuring Peggy Fortnum’s unmistakable illustrations. Not suitable for children under 10 months of age. Hand wash only. Made from synthetic fabrics.